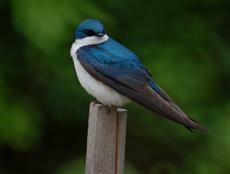 The Tree Swallow is often mistaken for the Purple Martin in early spring. 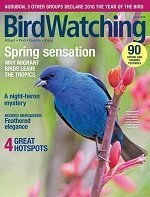 This bird leaves its wintering grounds along the seacoast from the Carolinas to California to begin its season of mating and nesting habits. Tree Swallows are 5 to 6 inches long. The Male has iridescent blue upperparts and bright white underparts. In fall, the upperparts may appear greenish. The female has duller, brownish upperparts and grayish underparts. The female has an immature plumage in the 1st year (sometimes 2nd year). 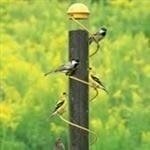 This allows her to approach breeding adult birds and their nest without being chased from the pairs nesting site. If anything happens to the breeding female and she dies, the younger female bird can replace her. This helps ensure a successful breeding season. Soon after arriving on their breeding grounds in mid March to mid April courtship begins. 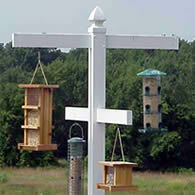 The birds perch near their nest holes or on top of nesting boxes. Flutter-flight and bowing displays from the male are done in front of the females. Ocassionally one may see these birds billing. This is the practice of a mating pair touching bills with one another. Actual mating occurs about a week before egg-laying begins. They prefer open areas near water or in dead trees at the waters edge for nesting. This bird is a cavity nester and is an ideal candidate for man-made bird houses. 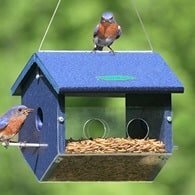 Competition from House Wrens and House Sparrows make it even more important to place and monitor bird houses for these graceful flyers. Tree Swallows sometimes arrive before Purple Martins, another larger swallow, and will compete for the same nesting cavities. 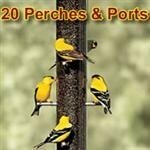 If you're a Puple Martin landlord try to provide a separate nesting cavity for these birds. Keep your Purple Martin housing closed until the Tree Swallows get settled if you're able. You'll notice a slotted opening on the bird house built for this bird. 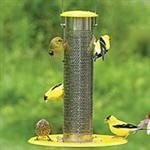 This makes the house a little more resistant to sparrows. Their territory that they defend is only the area of the nest itself. 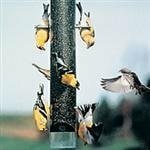 If predators or human visitors approach the nest while the birds are around the birds may swoop down toward the intruder, turning at the last minute narrowly missing the intruder. The nest is built primarily by the female, although the male does some gathering of materials. Cup shaped and made of grasses for a foundation and lined with feathers. The nest building process can take as long as a month but generally completed in 2 to 3 weeks. The female lays 4 to 7 white eggs which are incubated for 13 to 16 days. Sometimes, during egg laying and even incubation time, the nest may be abandoned for a few days. During this time you'll see no activity around the nesting site. 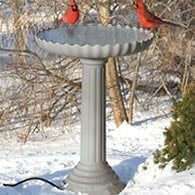 Within 3 - 4 days the birds return. This leave-of-absence apparently has no effect on the success of the young birds hatching, only delaying the event. The female performs the job of incubation and both parents feed the young. The young birds will leave the nest in 16 - 24 days after hatching. 1 - 2 broods each season. 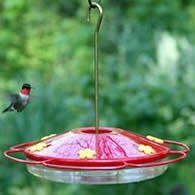 The diet of these birds consist mainly of insects caught on the wing. In winter bayberries are a favorite food to eat. By late July or early August the Swallows leave their breeding grounds and form flocks around marshy areas where there are plenty of flying insects to eat. In early fall they will begin migrating southward. In winter they feed in large flocks but the early spring migration is done in much smaller flocks.